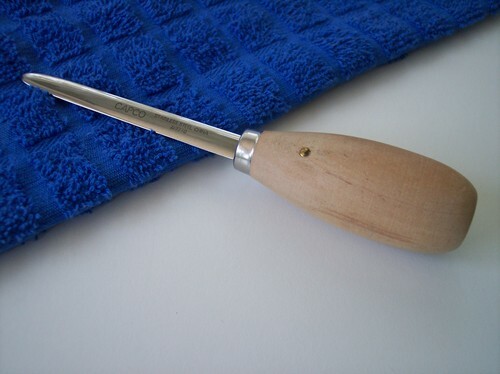 An Oyster Knife is a tool of the trade when when opening or shucking oysters from their shell. This is a stainless steel Capco Oyster knife with a special tip for opening the oysters shell. On our perparation and handling page for our Bay Oysters get step by step instruction on shucking oysters.